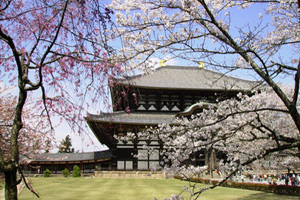 Prior to Tokyo and Kyoto, the very first permanent capital of Japan was Nara (pop. 364,000), a town occupying the northern part of the Yamato plain, at the foot of Mount Wakakusa. 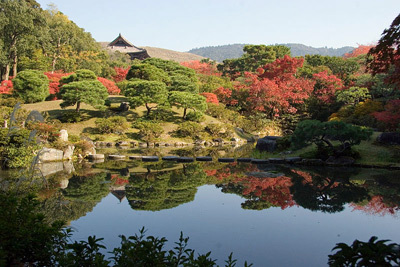 As the birthplace of the Japanese civilisation, Nara should rank high on anybody's list of places to visit in Japan. 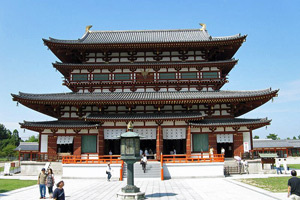 Nara is the second only to Kyōto in number of ancient attractions. 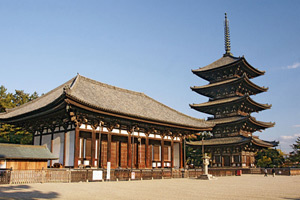 It has 5 sites listed on the UNESCO World Heritage list, including the oldest wooden structure in the world, Hōryū-ji Temple, in its vicinity. 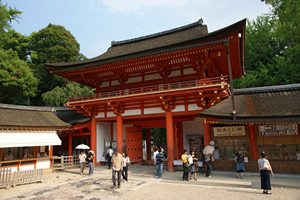 Visitors usually head directly to the Tōdai-ji, which houses the largest Buddha statue in Japan (the second largest being in Kamakura). Nara has a relaxed provincial atmosphere, and deers graze peacefully in the numerous parks, or wait that tourists feed them "shika-sembe". That makes Nara a popular school-trip destination for primary school pupils. The first early capitals of Japan from the 3rd to 8th centuries C.E. were all established around contemporary Nara. 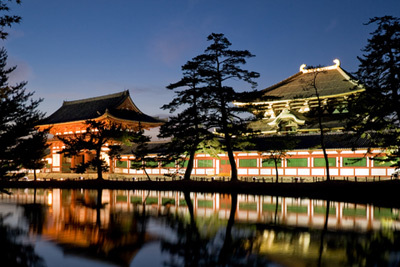 Originally, Shintō religion imposed that the capital be moved every time an emperor passed away. 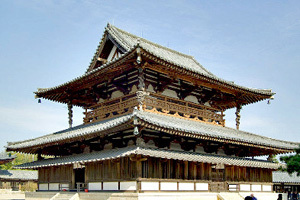 In 710, the first permanent capital was founded and named Heijōkyō (平城京 - 'peaceful fortified capital') on the site of present-day Nara. The capital stayed at this location until 794, when it was moved permanently to Heiankyō (平安京 - 'peaceful capital'), a city that later adopted the name of Kyōto (simply 'capital city'). 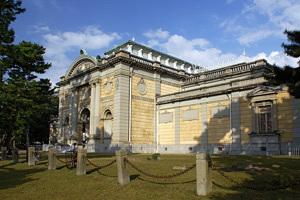 Opened in 1889, the Nara National Museum is one of Japan's four national museums. Its collection of Buddhist art, date mostly from the 6th to the 14th centuries, and include images, sculptures, and altar articles. Among remarkable items are a 9th-century seated sculpture of the Healing Buddha, the 12th-century Hell Scroll, and the 12th-century Jōdo mandara-zu. Nara is easily accessible by train from Kyōto (40min, ￥610) or Ōsaka (40 min, ￥780). The nearest airport are Osaka Itami (60 min by bus, ￥1,440) and Kansai International Airport (95 min by bus, ￥1,800), both with flights to the major destinations within Japan and overseas.